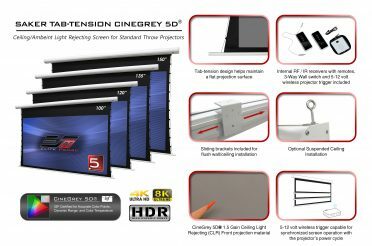 The CineTension B is a workaday projection screen that Elite crafted to fulfill an inexpensive role without cutting corners on the quality. 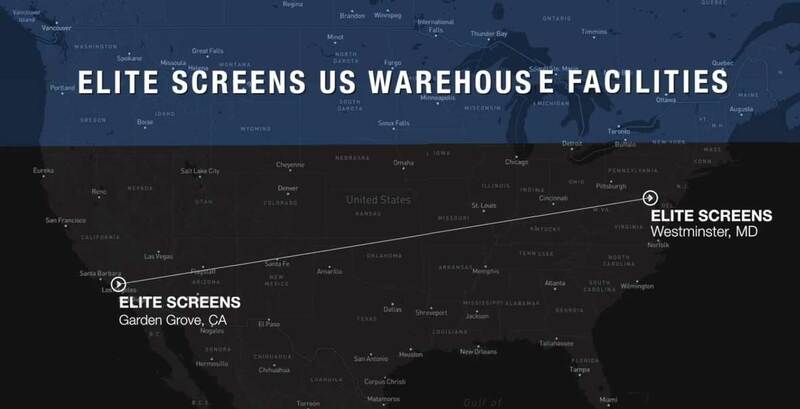 A great testimonial for this is the screen’s use at the world-famous Mack Sennett Studios. We interviewed Jesse Rogg and got a great testimonial. 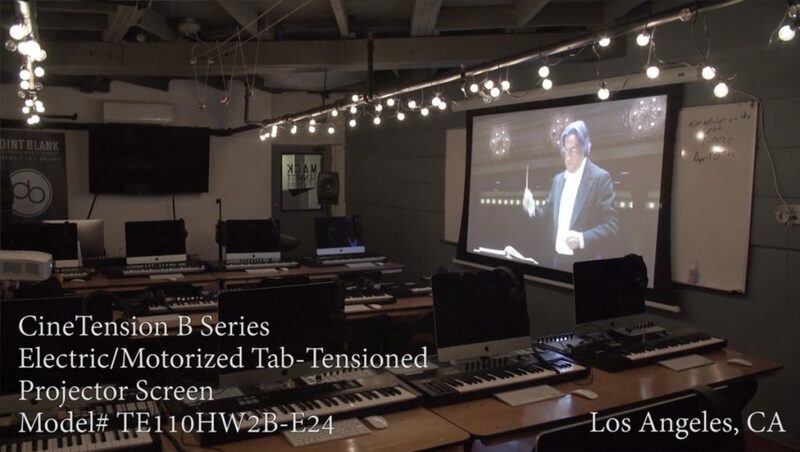 At the time of filming, the CineTension B screen was being used with the Point Blank Los Angeles in collaboration with Point Blank London. The project is dedicated to teaching students all about production, mixing, sound design, DJ, and the like. “I like using this screen because it is flexible. 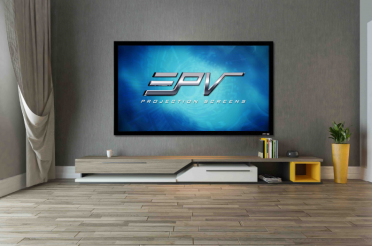 I am able to put it up and down during classes and it goes away when I don’t need it.” Said Rogg as he demonstrated the screen’s up/down settings. 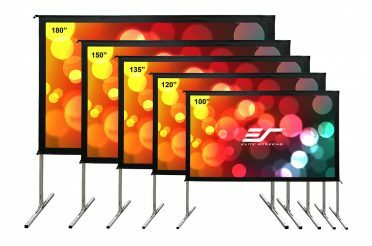 Regardless if it is for education, corporate training, or any other business presentation, a retractable screen is usually the best solution so that empty wall space is available for the myriad of functions that come up in a busy training environment. 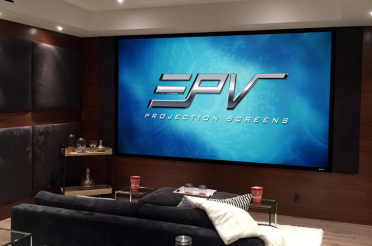 As a projection screen company, it’s great to see the cycle go full circle. 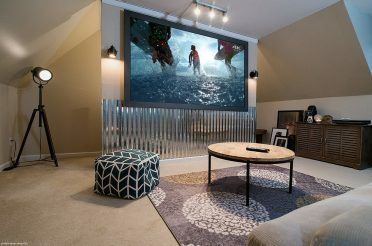 From displaying film content, to helping tomorrow’s film makers create content for the dream windows in the years to come.